BUT THERE’S A CHIMNEY HE LEAVE OUT, I KNOW CAUSE IT BELONG TO ME. 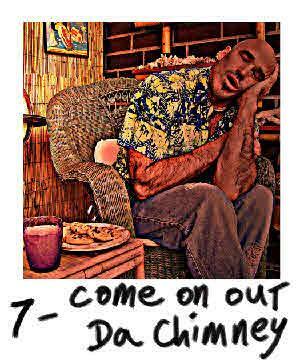 COME ON OUT OF CHIMNEY SANTA CLAUS AIN’T YOU GONNA MAKE IT TO ME HOME! NO AIR-CONDITIONING, AINT NO TREAT GONNA BRING HIM SO AGAIN I SHOUT. HEY! WELL IT’S ABOUT TIME SANTA. WHAT’S THAT YOU WANT? OH!